Two small bodies lifted from among the hundreds of geese on the pond. 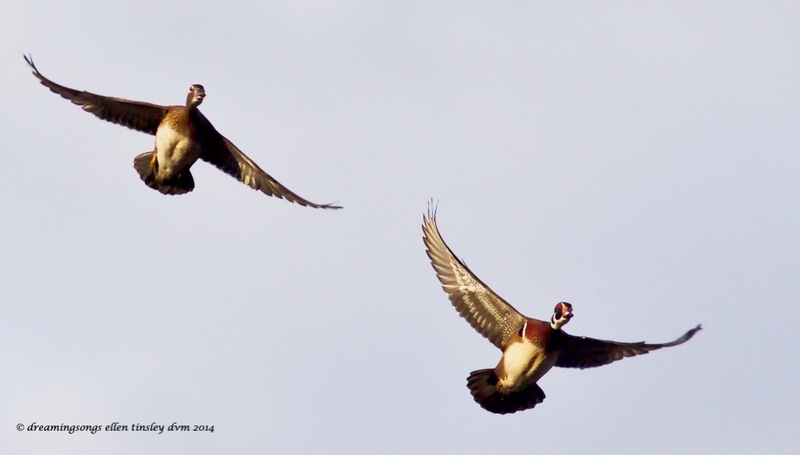 And almost instantly the pair of wood ducks flew right over me. Posted in photography, Wake County, wild birds, Yates Mill Nature Preserve and tagged as wood duck, wood duck drake, wood duck hen, wood duck pair, Yates Mill Nature Preserve, Yates Mill Pond.